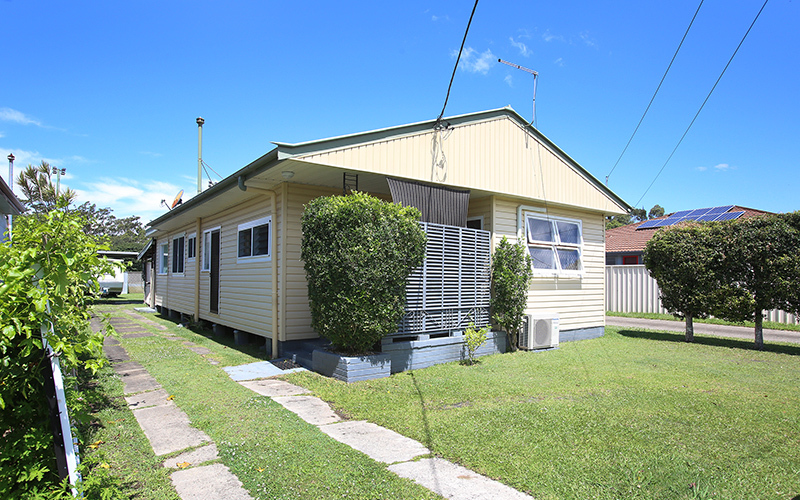 Located approximately 1km level walking distance from the vibrant Coffs City Centre and backing on to Vost Park, this well-maintained home offers convenient one level living with an opportunity to add value. 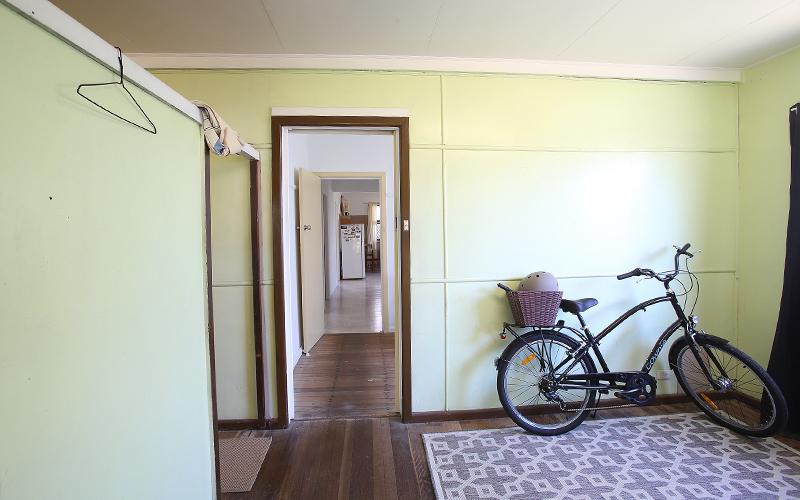 The retro charm of this home is evident from the entry, which leads into the living room with decorative cornices on the high ceilings and recently installed louvre windows promoting great cross-ventilation. 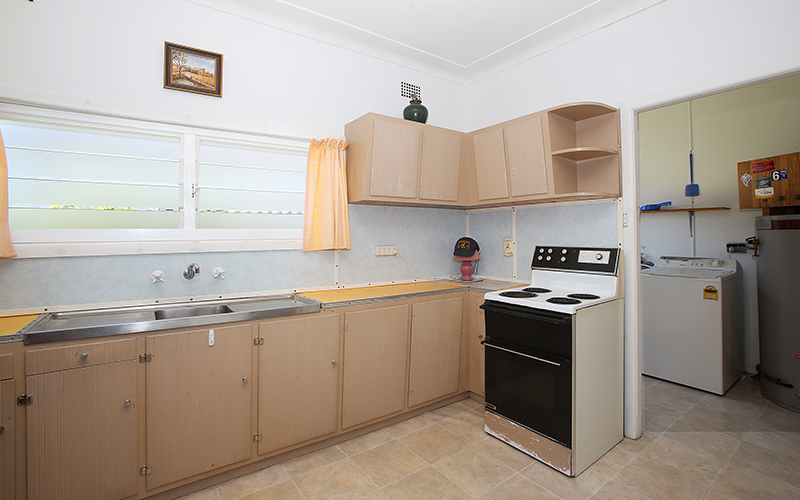 These windows feature also in the all in one, kitchen and dining room with electric upright cooktop and oven, all in original but very good condition. 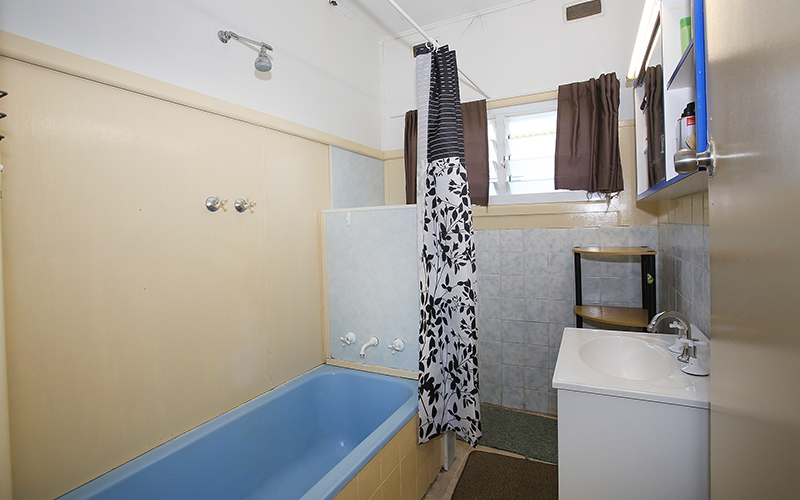 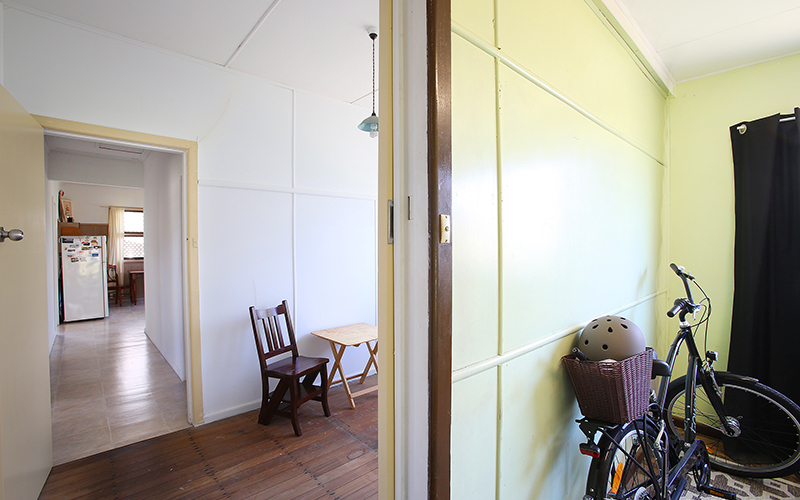 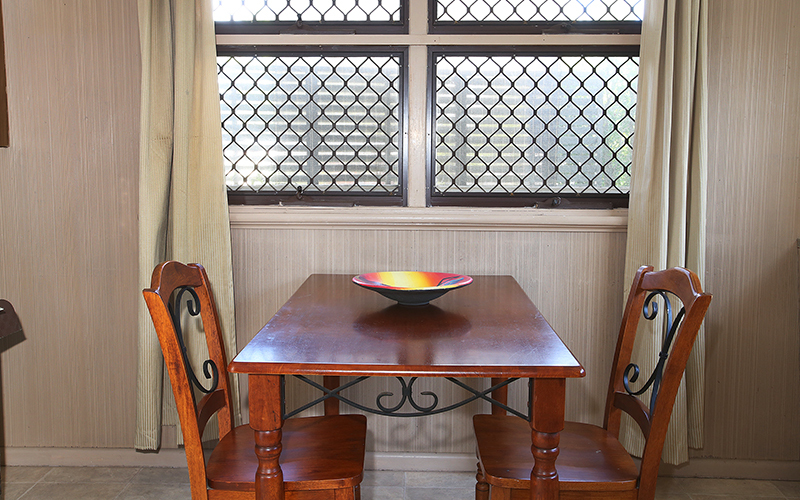 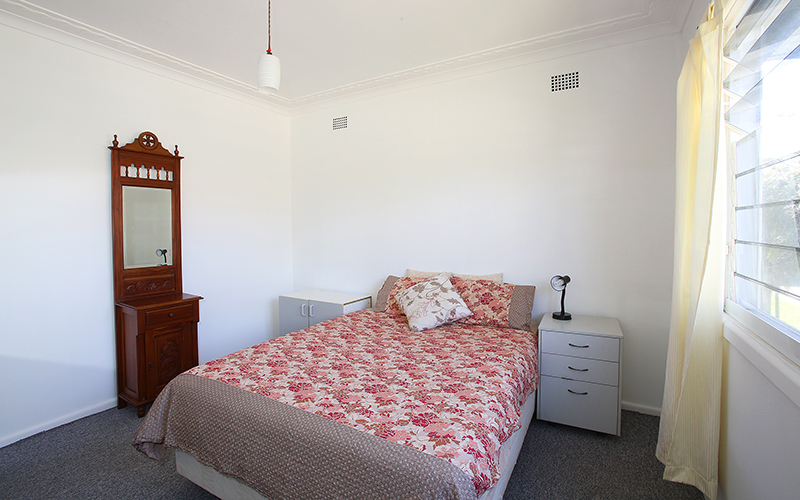 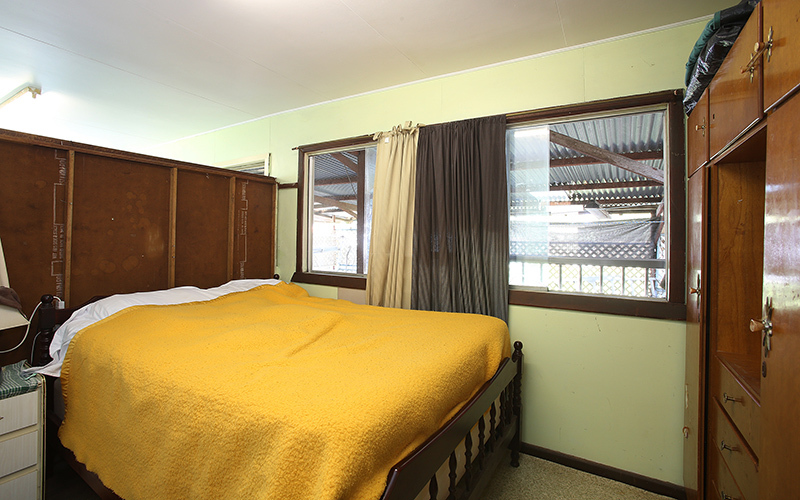 There are two large bedrooms and close by a bathroom with new toilet. 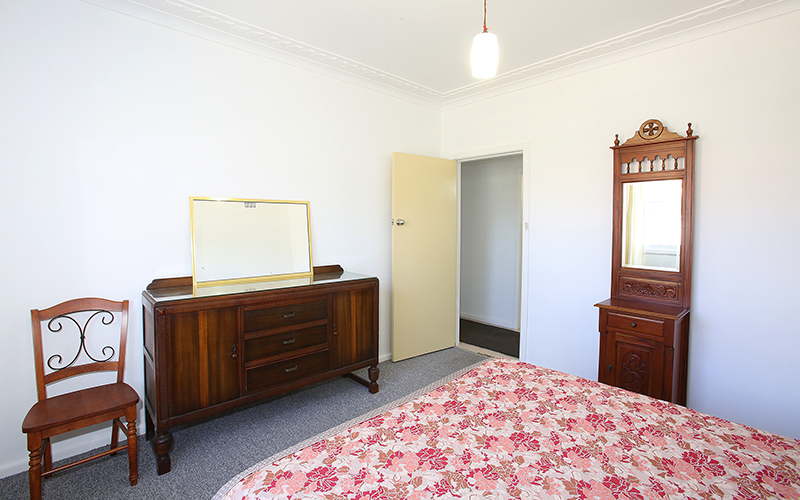 The third and what is currently being used as a fourth bedroom feature soft toned natural hardwood floorboards; this timber floor is the treasure that lays beneath the current carpet and vinyl throughout the majority of the rest of the home. 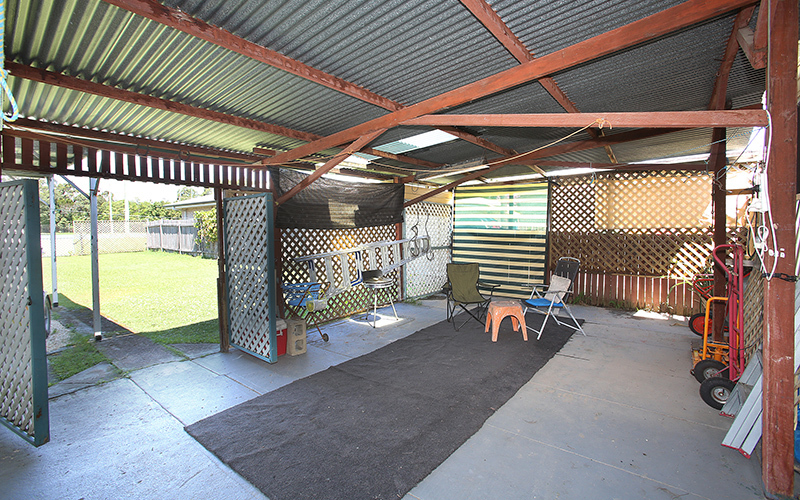 The covered outdoor entertaining space is very private and yet the level yard and park at the rear are still visible; the ideal space to relax and enjoy the cooling northerly breezes of summer. 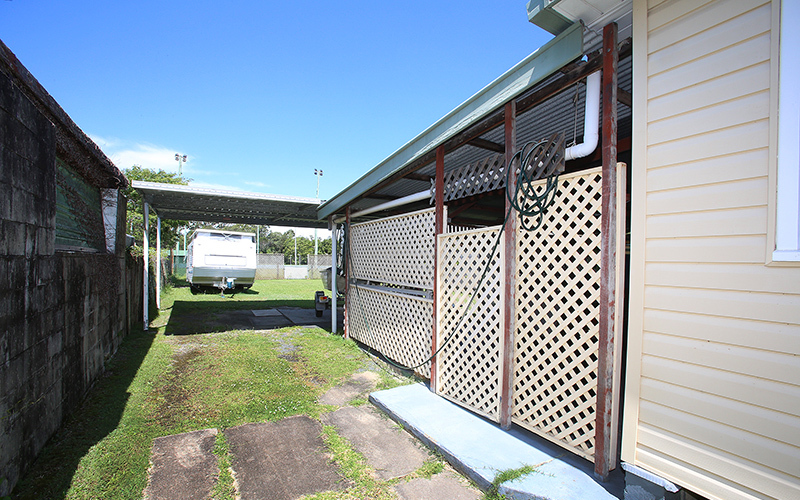 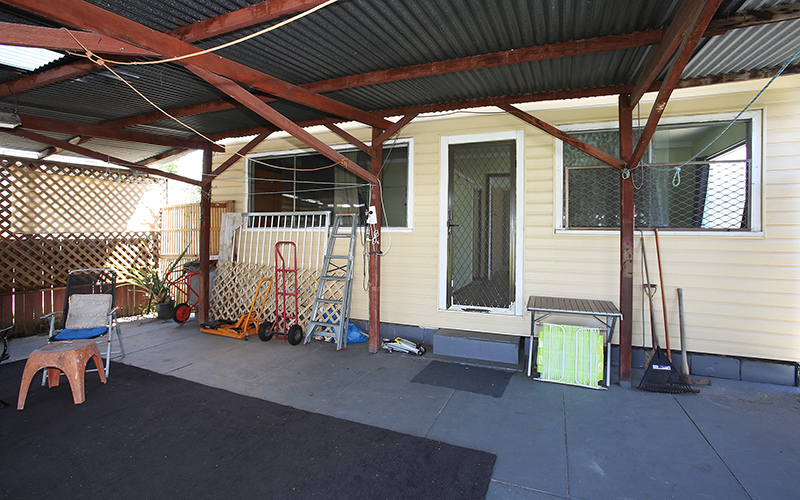 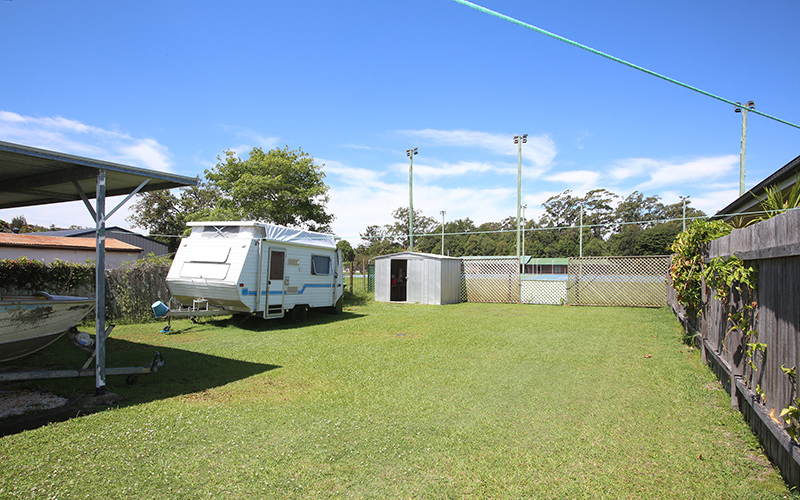 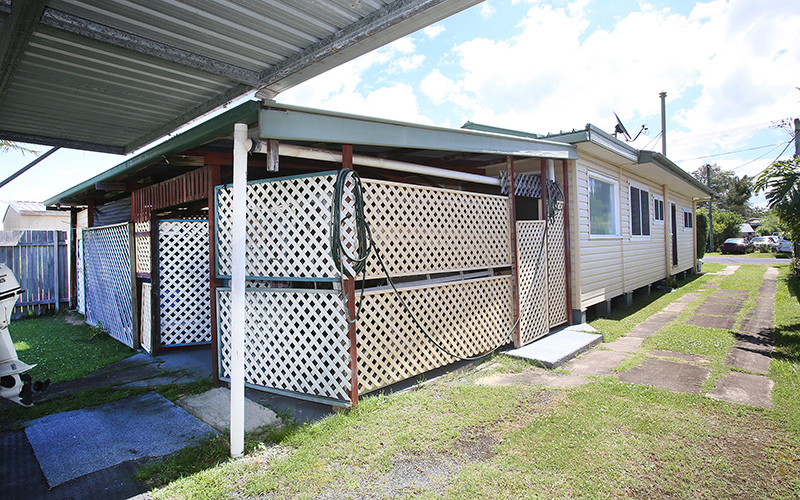 The drive through double carport is close by and has high clearance to suit caravan storage and allows backyard access. 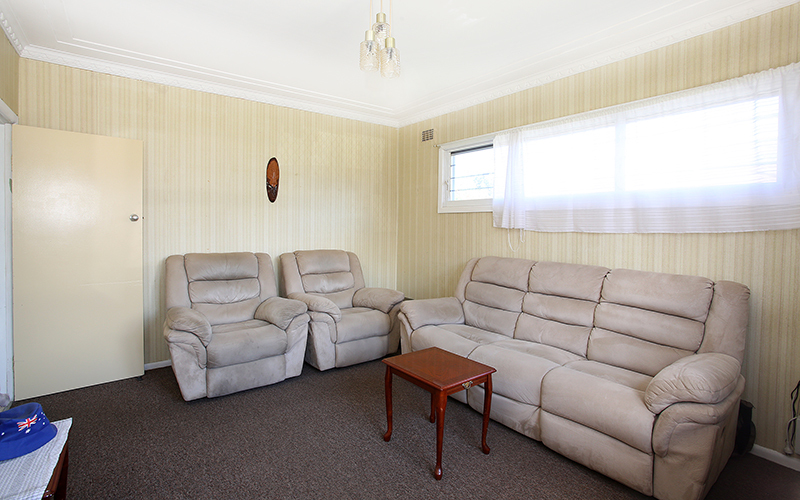 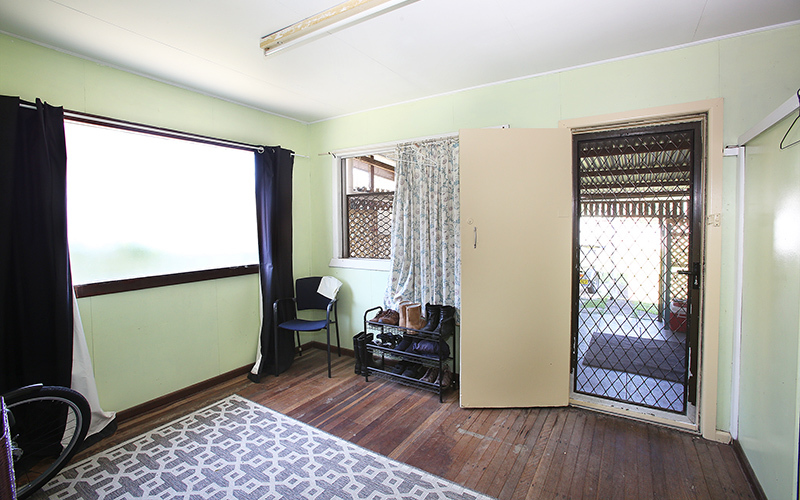 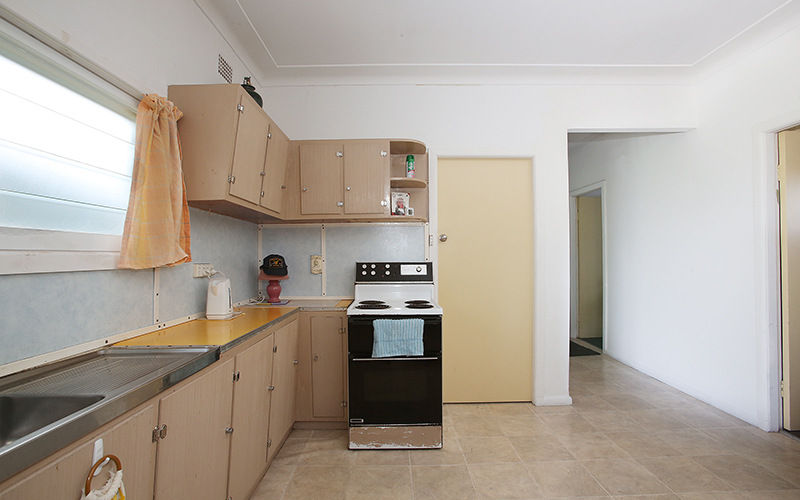 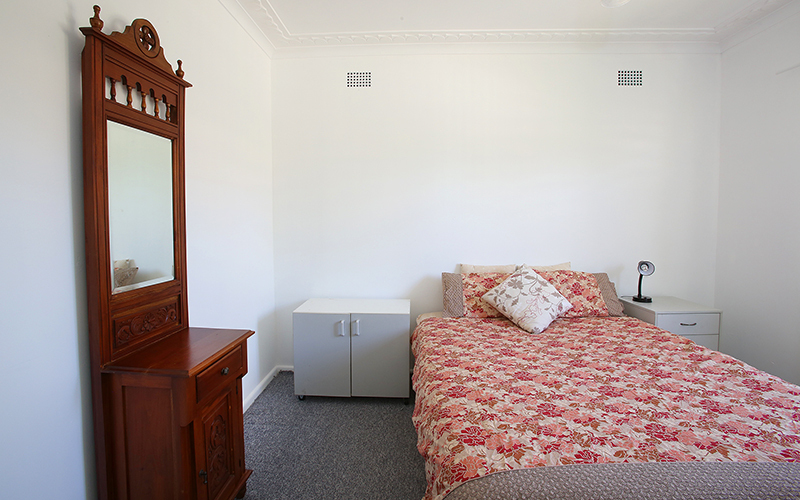 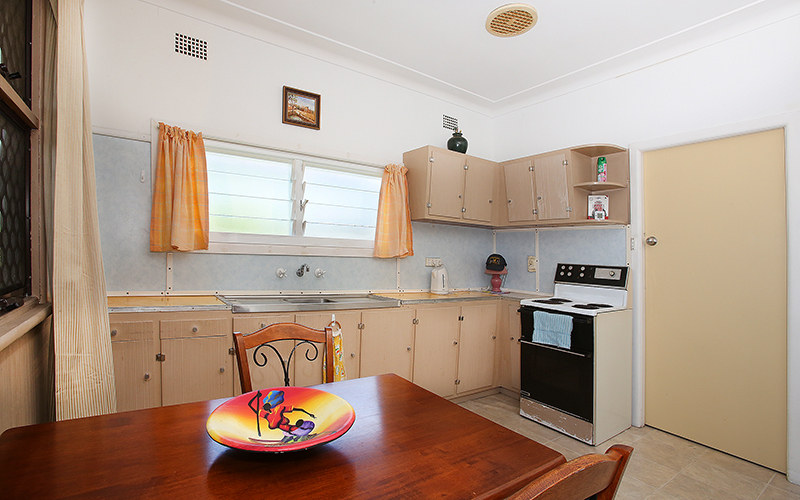 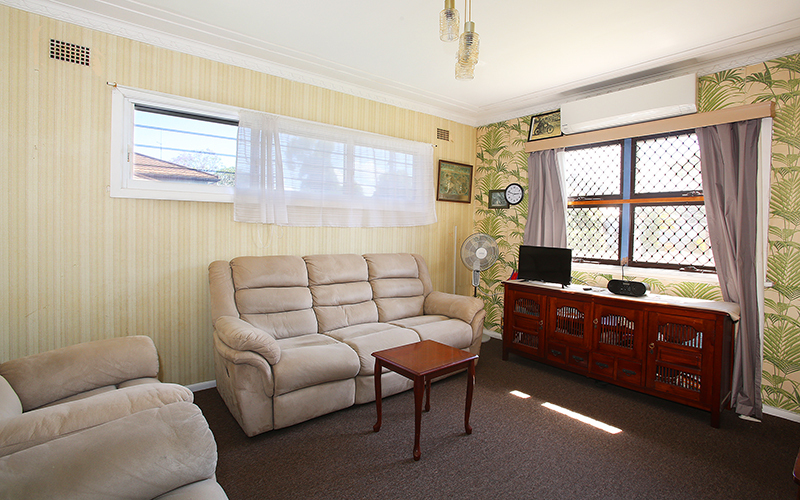 Additional features include: air-conditioning in lounge, electric hot water, separate laundry, iron roof, security doors & windows, NBN connected, garden shed. 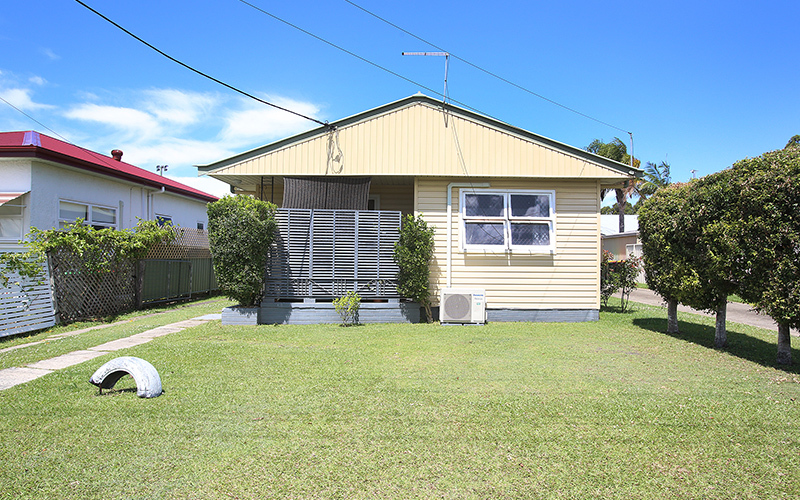 This home has been well loved by the one family for many years; live comfortably as is or renovate and add value, you choose.